The post SiteGround test post appeared first on McDowell & Son Heating and Air Conditioning. The post Enjoy the benefits of air conditioning and add a ductless heat pump appeared first on McDowell & Son Heating and Air Conditioning. The post Energy Efficient Design and Remodel appeared first on McDowell & Son Heating and Air Conditioning. 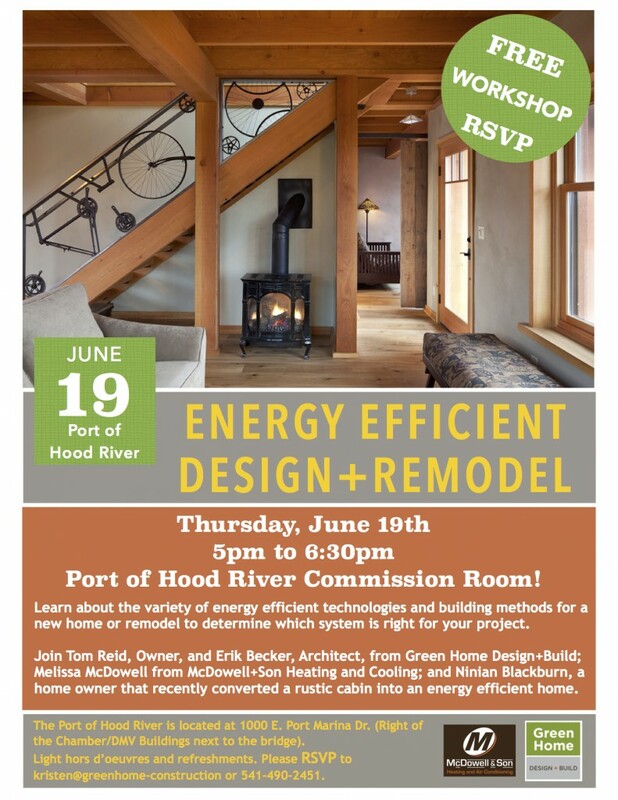 The post Did you make energy efficient improvements to your home in 2012? 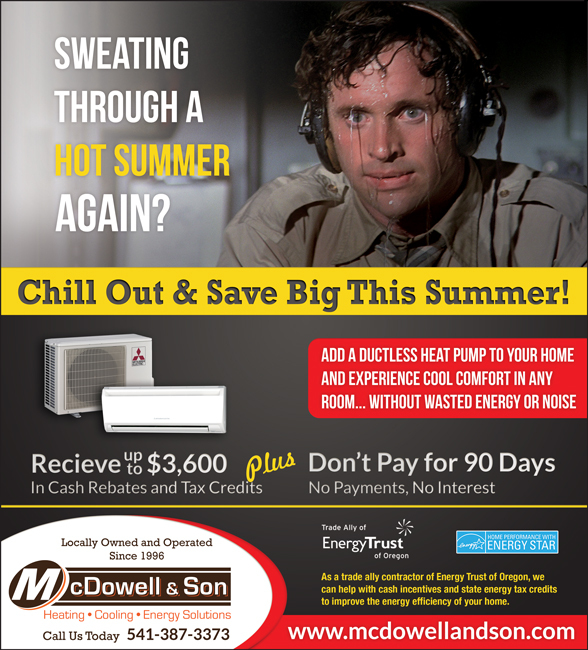 appeared first on McDowell & Son Heating and Air Conditioning. The post Federal Tax Credits Are Back And Retroactive To 2012 appeared first on McDowell & Son Heating and Air Conditioning. On January 2, President Obama signed legislation designed to avoid the “fiscal cliff” and keep tax rates from increasing for every American who pays taxes. In addition to its many other tax provisions, the bill retroactively reinstates the 25C tax credits for highly efficient HVAC and water heating equipment that expired at the end of 2011. The post Check out our new ad! 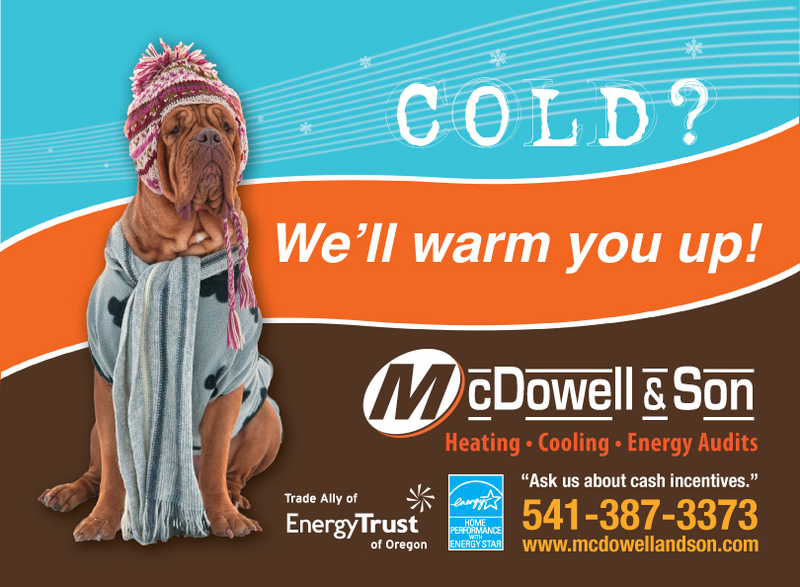 appeared first on McDowell & Son Heating and Air Conditioning. The post Inspecting ducts in tight crawl spaces appeared first on McDowell & Son Heating and Air Conditioning. The post Northern Wasco PUD cash incentives for Heat Pumps and Ductless Heat Pumps appeared first on McDowell & Son Heating and Air Conditioning. The post Tips for a green home appeared first on McDowell & Son Heating and Air Conditioning. The post New Washington State Energy Code for HVAC appeared first on McDowell & Son Heating and Air Conditioning. Don’t know if you have heard yet but there was a new energy code that took effect for homeowners in Washington State as of January 1, 2011. I think this is a step in the right direction and hopefully Oregon will soon follow. Hooking up a new efficient heating system to leaky ducts makes no sense. It is kind of like driving a Prius with flat tires. Here at McDowell & Son we are big believers in sealing and testing ducts which is why we have been doing it for our customers for the past several years. 101.3.2.6 Mechanical Systems: Those parts of systems which are altered or replaced shall comply with Section 503 of this Code. When a space-conditioning system is altered by the installation or replacement of space-conditioning equipment (including replacement of the air handler, outdoor condensing unit of a split system air conditioner or heat pump, cooling or heating coil, or the furnace heat exchanger), the duct system that is connected to the new or replacement space-conditioning equipment shall be tested, as specified in RS-33. The test results shall be provided to the building official and the homeowner. EXCEPTIONS: 1. Duct systems that are documented to have been previously sealed as confirmed through field verification and diagnostic testing in accordance with procedures in RS-33. 2. Ducts with less than 40 linear feet in unconditioned spaces. 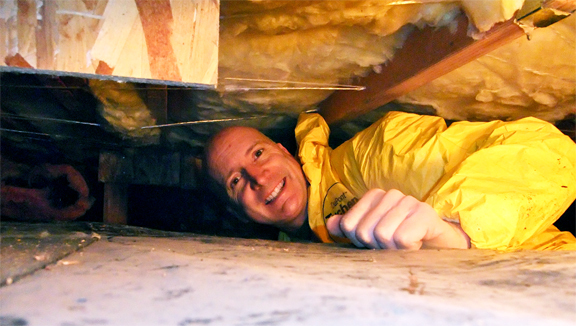 Duct Sealing for Comfort, Energy and Indoor Air Quality from Energy Experts on Vimeo.